We’ve just released an Easter update to the public, which brings numerous updates to the game including a whole new enemy type and an explorable underground sewer. 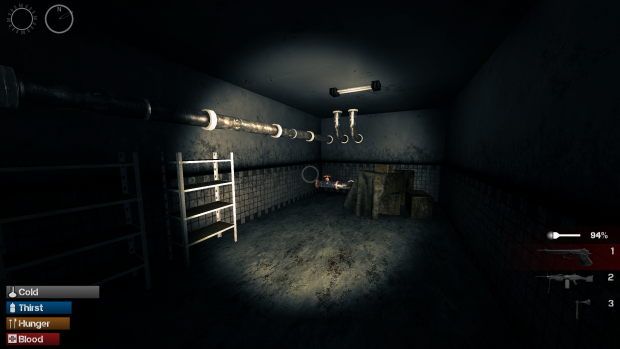 We’ve added a new underground sewer that can be found in the game. The sewer can only be accessed through a manhole which the player must first find. 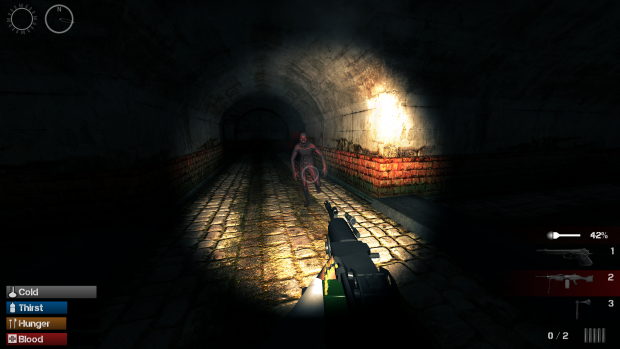 The sewer has very little light and is populated by new dangerous enemies called ghouls. Ghouls are red eyes monsters that populate the sewer in the city. A player can easily avoid them with sneaking. But if they notice and catch a player they will inflict large amount of damage. They are also harder to kill than regular zombies. The ghouls can only be found in the new sewer. The game can now be played with a controller. All in-game menus like inventory work with a controller now. Aiming is now also possible with left trigger of controller. The game now detects if you have a controller plugged in when launching and asks if you want to use it. The world has gotten a new city block to give more variety into the game world. New vehicles such as buses and TV crew vans are now generated to the streets. New melee weapons are now available: A fast striking kitchen knife and a baseball bat. 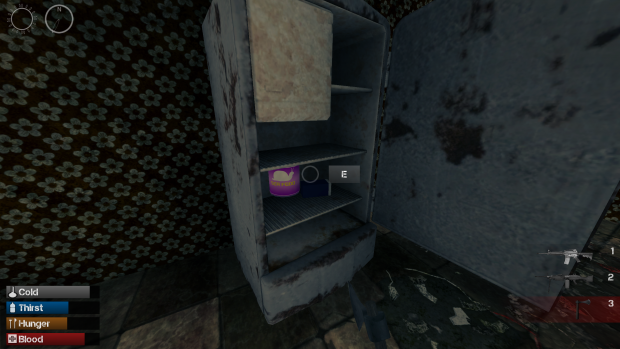 Players can now find couple more drinkable/eatable items: Soft drinks and canned food. Hunger and thirst status bars now flash in the UI when they are getting low. Campfire UI was updated to match the new styling of windows. Inviting friends to game is now easier with Steam button in game lobby. Sidestep animation is now synchronized between players. Player characters now have graphic for gas mask when they’re wearing it. Overall brightness in the game was increased. Supply boxes now disappear over time to save memory.